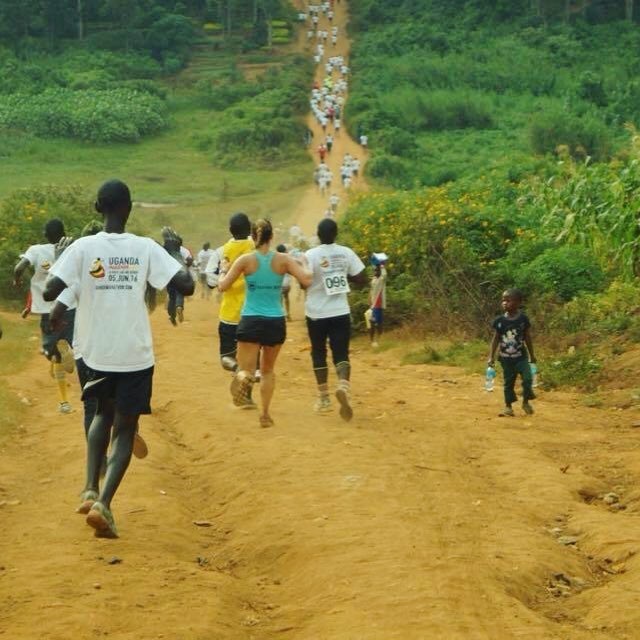 Welcome to the Uganda Marathon Runners’ Blog! Our series of blogs dedicated to our participants preparing to take part in this year’s event. Over the coming weeks, we’ll share suggestions to help in your preparations for the 7-Day adventure, from training tips to fundraising and travel advice. Written by a former participant, these blogs are all about supporting our group of 2019 runners – please feel free to get in touch if you have questions or topic suggestions – we’d love to hear from you! 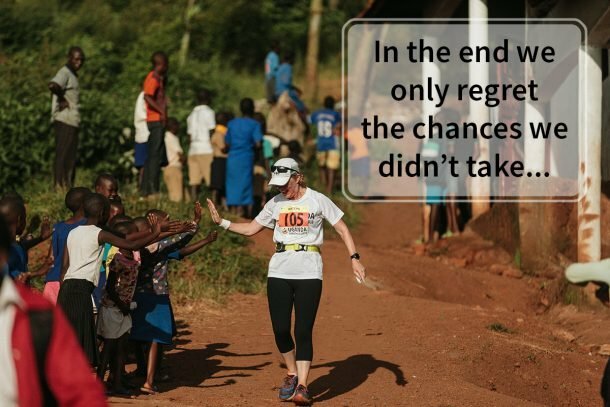 When I trained for the Uganda Marathon in 2015, I was relatively new to the world of running – my training mainly focused solely on upping the distance of my long runs week-by-week, with some shorter runs in between, gradually building my weekly mileage. However, as I became more familiar with what the course in Uganda entailed, I knew I needed to (somehow) recreate the conditions as best I could in the UK. One of those key conditions, aside from the heat and trail paths, was the elevations and descents. From that point on, I tried to gradually introduce hill training into my preparations, and it really paid off come Race Day! And that’s what this post is all about – hill training and how to include it in your training! 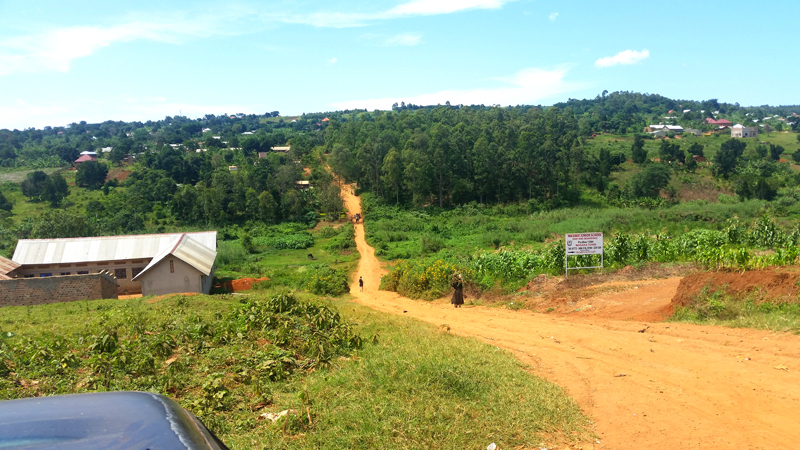 So, why would I recommend adding in some hill training sessions into your prep for Uganda? Well…(and I hope I’m not breaking this to you for the first time)…but the course is well, hilly. There’s a lot of elevations and descents, so the more practice you can get running on hills now, the more prepared you’ll be for your challenge in Uganda! ‘Camp Nedegeya’ Hill & Bugabira School – the first noticeably steep hill at around the 5K mark. This is shortly followed by a descent through one of our Charity Projects, Bugabira School. Having the children cheer me on at that point is still one of my favourite moment from the 2015 event! ‘The Beast’ – the approach to this is a truly stunning view, and it’s all downhill in the lead-up before it goes up. Think a ‘U-shape’, going down first and then going up. Challenging but fun! ‘Heartbreak Hill’ – towards the end of the course, the view at the top is worth every step up the hill as on a clear day, you can see as far as Lake Victoria. Truly stunning. Don’t let any of these hills intimidate you though! 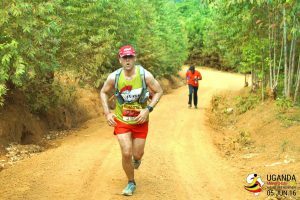 The experience of running in Uganda is a very special one, which will give you added motivation to conquer these peaks. Plus, by incorporating a few hill sessions into your training, you’ll be more than ready for them on June 1st! 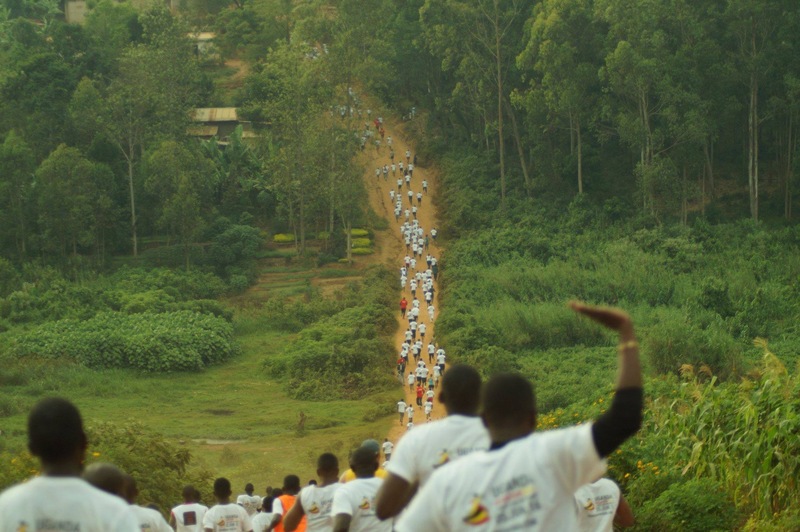 When I trained for Uganda, I tried to do one hill training session a week, but if you’re just starting out with it, it’s probably best to do one a fortnight and work your way into it. Hill sessions are an intense workout (like speedwork), so be sure to start with small inclines and gradually work up to the steeper/longer climbs. Also, consider resting the following day to allow your body time to adjust to the new sessions. Beginner- Run 100 meters uphill and then walk back to the start to allow recovery time. Repeat 6-8 times. Start with gentle hills in the early sessions, getting steeper as you progress your workouts. Good luck in your hill sessions and remember, even a few hill workouts will help make a difference for Uganda and to your overall running. Start with the smaller hills too – it’s better to start small and work your way up! The Uganda Marathon 2019 is SOLD OUT. Stay tuned for 2020!